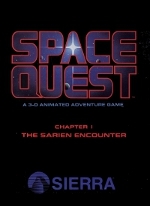 This is the original Space Quest game, Space Quest, Chapter 1: The Sarien Encounter, which introduced the reluctant hero, Roger Wilco, a sub-ordinary man in extraordinary situations. The game was released in October 1986 and quickly became a hit, selling in excess of 100,000 copies. Maybe way more, but who really knows? That was a big number then considering how many people then had home computers. 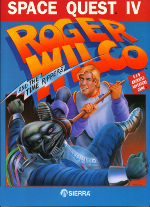 It was later remade and re-released with VGA painted and scanned graphics and a point-and-click interface in 1991 as “Space Quest I: Roger Wilco in the Sarien Encounter”. The authors prefer the original parser version of the game but those are hard to find, not to mention tough to play as they were on 5 1/4″ floppy disks. 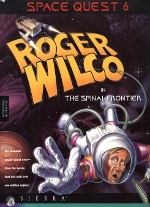 Roger Wilco is the Sanitation Engineer (actually, a crappy janitor) aboard the scientific spaceshipÂ Arcada, which holds a powerful experimental device called the “Star Generator”. 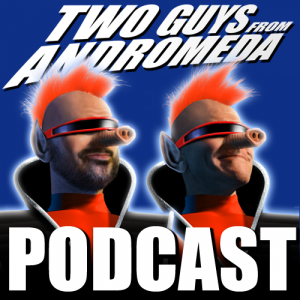 Roger emerges from an on-duty nap in a broom closet to find that the ship has been boarded, ransacked, all other members of the Arcada crew have been killed and the powerful Star Generator is missing. In the process, the self-destruct sequence built in to the Arcada has been activated. From here, the player begins their role and does what adventurers do, trying to discern what has happened, what they should and shouldn’t do next and most importantly, how NOT to die. There are dead bodies to check, various locations to inspect and, eventually, other places to visit, like the small desert planet of Kerona for example. You will also encounter odd beings who find your body to be a playground, but not for you. Save your game position early and often. In the worlds of Space Quest, death can often be a source of amusement – and you will die at some point. Enjoy it! 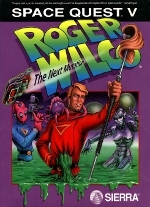 You are Roger Wilco, after all. 1995, age 3. My father had a 386DX@MHz, 486DX@66MHz, and a Pentium@166MHz. He used AutoCAD (forget what version; it was in MS-DOS, though) for his architectural work… and he played Sierra Adventure games. He had PQ1, PQ2, a broken copy of KQ1, KQ3, Colonel’s Bequest, KQ5, both AGI SQ games, and SQ3, but the one I remember him playing the most was SQ1, and it peaked my interest, a 3 year old boy whose only experience in gaming up to that point was Sonic the Hedgehog and Wolfenstein 3D (Yeah, great role model, my father. Age 3, and he lets me play a FPS). 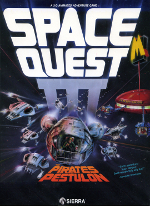 I loved the Star Wars trilogy growing up, and Space Quest 1 was another entrance to the realm of space. 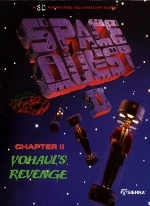 It wasn’t until my father bought the original Space Quest and King’s Quest Collections in ’98, that I began to appreciate the humor in the series. Before, I was just a stupid little 3 year old, watching sickening cartoon movies and pooping myself on occasion. Age 6, I was able to appreciate the easter eggs, the comical (and, yes, irritating) death sequences, and most of all, the epic music dinking out of my 386’s internal speaker. This first game was the introduction to a realm of spacey fun I would begin to enjoy, for years to come. Almost wore my Tandy 1000 out playing this game. I hope to get a new Space Quest game someday again.